On the way driving up to Montreal, we had a pit stop at Burger King. 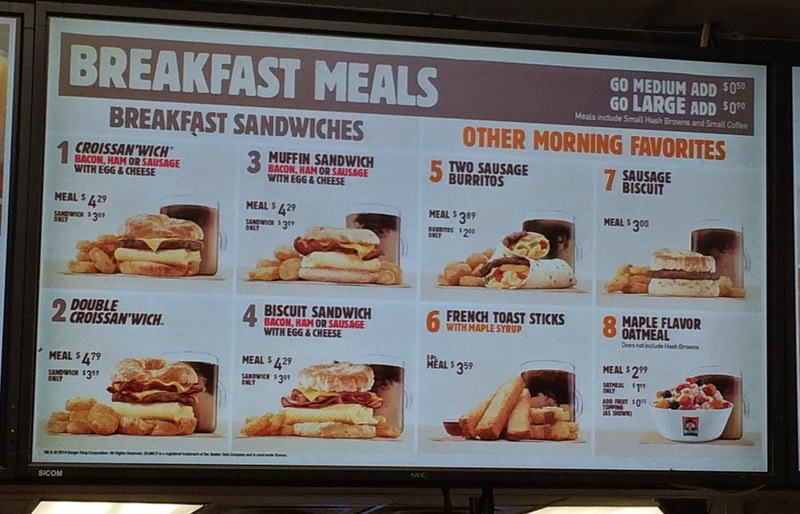 It's my first time to have Burger King's breakfast menu, and I saw a lot of egg items with croissant, biscuit, English muffin, and burrito, but I prefer not to eat fast food chain's egg prepared to a certain styles so I went for French Toast Sticks. 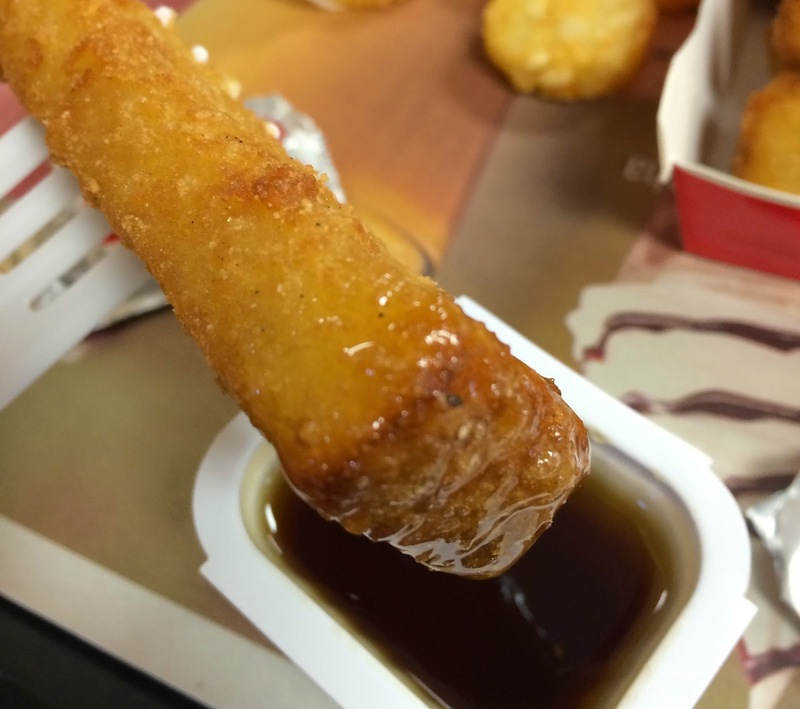 French Toast Sticks came in a box with a pouch of mini hash browns. 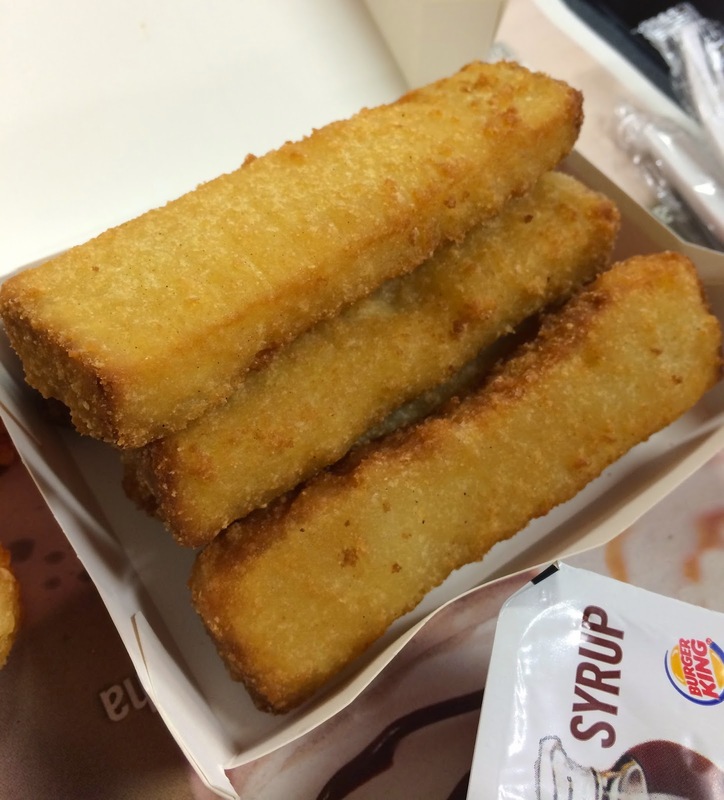 There're 5 golden brown fried French Toast Sticks in the box. 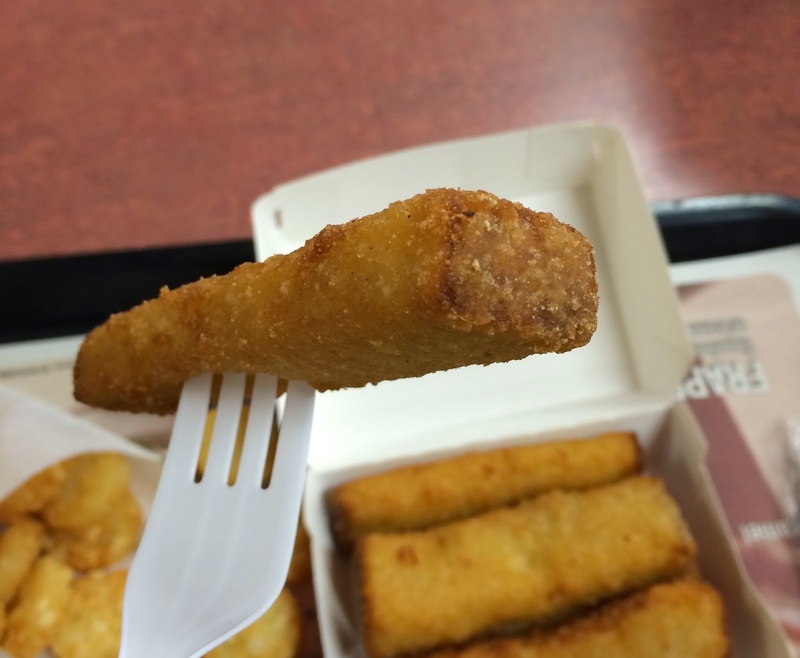 When I stuck a fork, I heard a crispy sound. With maple syrup, it tasted like French toast with cinnamon but to have fried French toast was a bit weird as I love and am used to eating fluffy and moist toast with subtle brown surface. Inside was soft but not mushy or soft like the ones cooked in a pan. 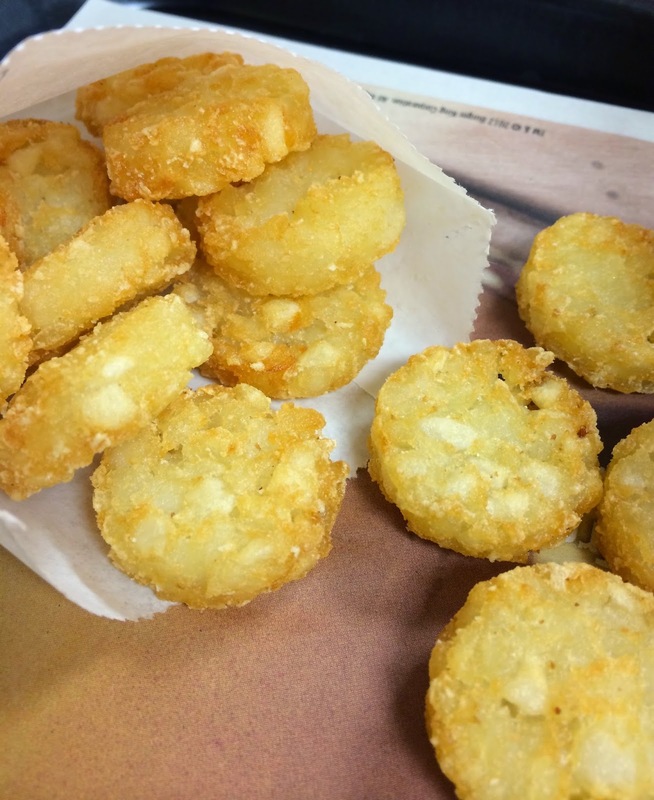 Hash browns were a bite-size and each was about 3cm (1.2 inch) in diameter. 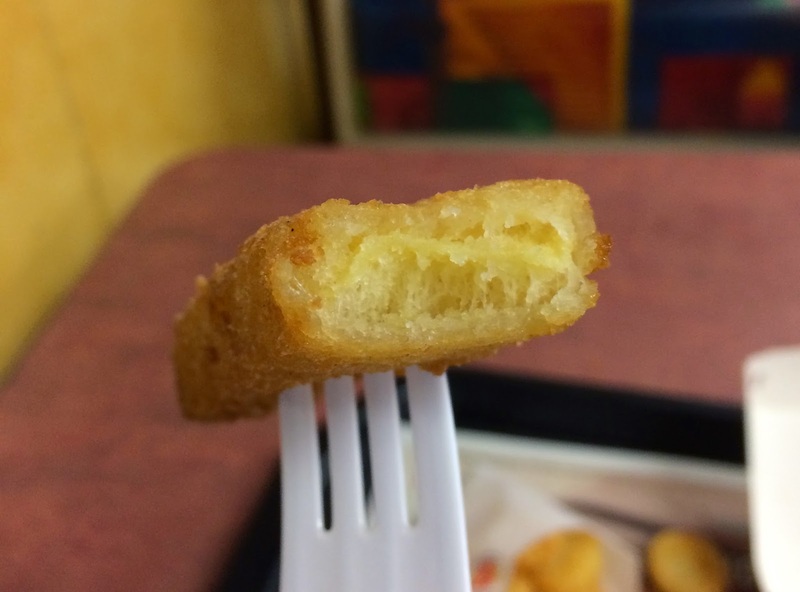 The outside was crispy and the inside was crunchy. I don't know if I'd get this again, but I'd love to try their pancakes.